It’s that time of year where you are wrapping up your summer club season and trying to decide whether to stay with your current club/association, or choose between a variety of different clubs. Maybe the change is needed due to experience, or it is time to move on and play at a higher level. I’m not telling you what to do or where to go, but I am speaking as a previous youth, association, club, high school, and college player who has played at all those levels and had to figure out the best choice for me and my family in terms of what fit our needs. I played association softball up until 14U and then I decided that I wanted more, in terms of travel, coaching, and just overall training and exposure. So, I looked around and explored my options. At the time, there weren’t clubs who had facilities and year-round training with professional instruction to help my game. There were really only club teams with skilled players. Being from Rochester, it wasn’t so much the travel needed to participate in club ball that raised an issue, but other factors that my family and I needed to consider. The main component we were looking for was good coaching. I knew I needed a staff and club program that would push me while learning to grow with the game, connections, and exposure - a club that was in it for all the right reasons, the girls! So now, being the Director of Softball Operations at Starters Sports Training, I try to think about tryouts and programs through a different lens and a new perspective. Why is Starters different? Why come here? Why choose us? There are many clubs with good coaching, whether that be male or female coaches, that travel the country to help expose their players to college coaches, or to just give a home for girls to be a part of something and play the game. We have been able to utilize our extremely incredible 30,000-sq. foot facility with our year-round softball specific female training staff, along with a full-time performance staff and weight room. Having these young women trained by women has been such an incredible experience, especially since this is not always the case. I was a 3-sport athlete in high school who never once had a female coach until I got to college. It wasn’t until my playing time was over that I realized just how powerful it was to have that presence in my life. To show up every day, whether that was in the weight room, on the field, in the classroom, or in everyday society and feel confident and comfortable in my own skin. When I was given this opportunity, to run a club program, I saw this as a chance to be that person and role model, like my coach was to me. In just one short year, I have gone from running the softball division alone, to a club that employs 4 full-time female coaches and staff who have the same goals and visions as myself. We are in this to help the girls be the best versions of themselves, on and off the field, while pushing them to achieve their athletic dreams. 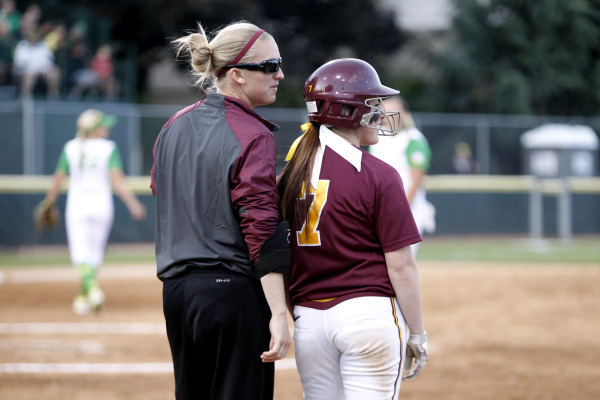 The Starters softball program consists of women, and some male coaches, who have played at every level of the game with extremely different stories and experiences. Softball is a sport for female athletes, and it is SO powerful to have women staying in the game teaching these young women. Not only do we provide opportunities for these athletes to be trained by former female athletes year-round, but we are providing the opportunity for women to create a full-time living from the sport they are passionate about. This is something I feel very strongly about as it is not common, but very necessary! If we can find ways to keep women in the game as well as giving back to our youth, it will only help impact the girls’ experiences and make the sport stronger. So, as you and your family are sitting down trying to figure out where you want to spend the next 11 months of your daughter’s softball career/experience. Think outside the box and explore all the options that Minnesota Softball has to offer.